One of the most frequent questions we get from customers is how much power (watts) or energy (watt hours) do I use and how much do I need to generate with my home solar system to meet my needs? To answer we need to make sure we are using the right definitions for terms like watts, watt hours, kilowatt, and kilowatt hours. Watts (W) and Watt hours (Wh), while similar in some ways, are often confused. A watt is the immediate measurement of power and often abbreviated as (W). Power is a means of measuring the rate at which energy flows, and is measured in watts with regards to electrical systems. Watts are the MPH of all things electrical and simply tell us how quickly the electrons are racing down the highway. Example: Watts are the rate at which energy is produced or utilized. A 40W light bulb is using 40 watts of power whenever it is turned on. So What Are Watt Hours? Watt hours (Wh) measure the accumulation of energy over a span of time. Let’s look at something in your house that runs continuously, like your refridgerator, which on average requires 150W of power. If it runs 24 hours a day, you are using 3,600Wh every day, and 1,314,000Wh per year! Here are a few examples of different household appliances and their typical power consumption. 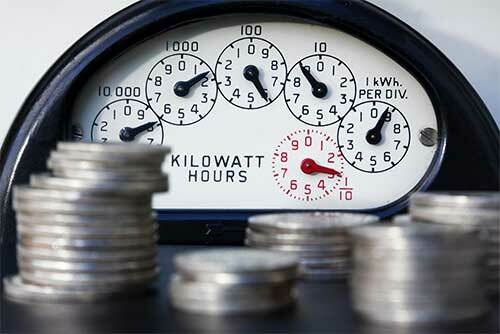 When you receive your monthly utility bill, the power you’ve used is measured in kilowatt hours (kWh). We know from our earlier discussion that a watt is the measure of power, and a kWh is the measure of energy. Energy is defined as the power obtained from the utilization of physical or chemical means, principally to provide light, heat or to power machines. So, if you run your 1,000-watt air conditioner for one hour, you’ve used 1,000 watt-hours, or 1 kilowatt-hour. In other words, 1 kWh is the amount of energy you need to run an air conditioner for an hour. In your home, you are charged for the electricity you use, which is measured in kWh. But many commercial and industrial buildings pay also pay “demand charges,” usually measured in megawatts, or MW and are determined based on their peak power draw, which pays the electric company for guaranteeing that it has enough power ready to meet the demand. What Does This Mean For Solar Power Systems? When designing a solar energy system, you need to know how many watt hours you use in a 24 hour period to determine the right amount of power for your home or business needs. 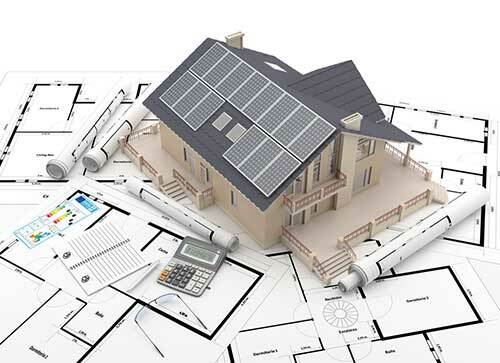 If you are drawing 4,000 watts total from all lights, devices, and appliances, without understanding how long they operate, and during which parts of the day and night, there is no way to know exactly what size solar PV system will be necessary. You also need to consider when is your heaviest power usage to make sure you are generating enough sun power during high usage times, unless you are going to build a solar system with battery storage. As you can see, understanding the terminology is important and just one of the areas we cover when helping customers determine if solar is right for them while designing a system that meets their needs.